Join editors Stephanie Bolster and Molly Peacock, plus a dozen of Canada’s top poets at New York University for a special Friday Happy Hour Series reading celebrating the New York launch of The Best Canadian Poetry in English 2008. Friday, October 16th, 5:00 p.m. Experience the eclectic voices of some of Canada’s top poets. 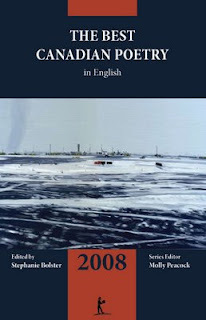 This special Saturday afternoon reading at the legendary Bowery Poetry Club is part of the New York launch celebrations for The Best Canadian Poetry in English 2008, edited by Stephanie Bolster and Molly Peacock.